Amy Sammons and Kelly Austin spend most of their time crafting platters that look like works of art. They share their tips to creating the perfect party platter. Imagine a platter 5m long that needs to feed up to 600 people. 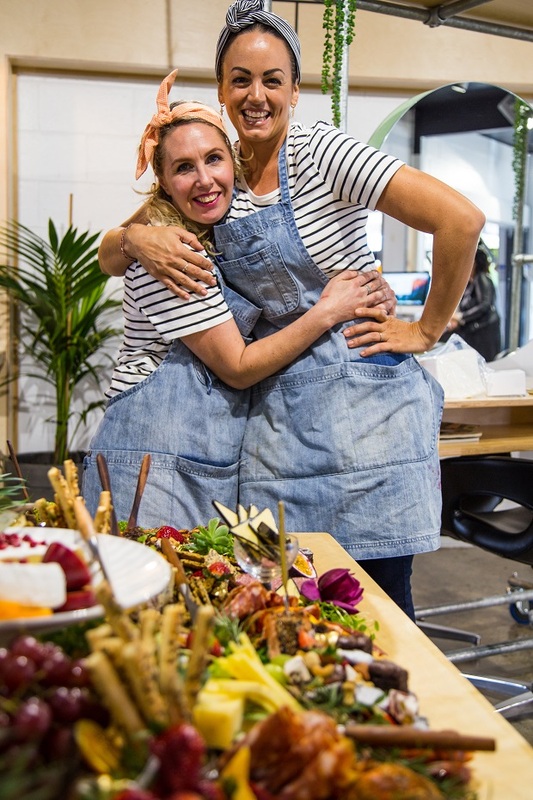 That’s the kind of challenge caterers Amy Sammons and Kelly Austin thrive on. 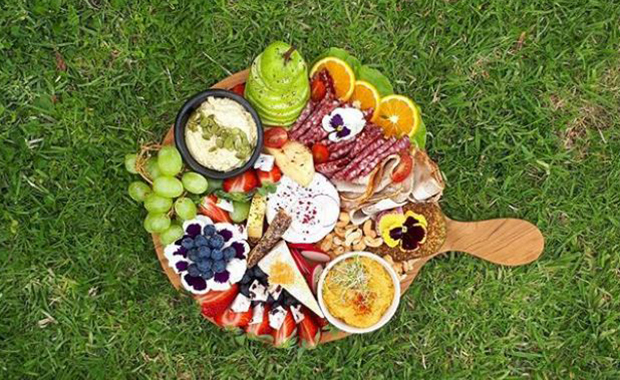 The two friends run Picnic & Platter, based in Whitianga, creating everything from picnic platters for two people to enormous ‘grazing tables’ for parties and weddings around NZ. The self-taught pair admit there’s an art to what they do, but there are basics anyone can use to create a pretty platter. Amy Sammons (left) and Kelly Austin of Picnic and Platter. There’s no hesitation when you ask the Picnic & Platter team where they start. “It’s the cheese, that’s almost always the centrepiece,” says Amy. The cheese is always ‘dressed’ for the occasion. “It’s an awesome cheese, I think it’s the gateway blue,” says Amy. “It’s a really delicious blue cheese, it looks beautiful too, the stunning black on the outside, but it’s mild and creamy enough that people who don’t like blue cheese try it and go ‘oh my god, that’s really nice’. • You can often find 800g-1kg round ‘wheels’ of brie in the specialist cheese section of supermarkets or you can buy them online. Smother with runny honey, and sprinkle blueberries and slithered almonds over the top. • Make a cheesecake, says Amy. 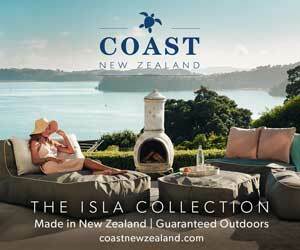 • If berries aren’t in season, dried fruits and nuts make great accompaniments. • If a cheese is covered in wax, remove the wax before you place it on the platter. If the platter is a before-dinner treat, Amy and Kelly have found 50g of cheese and 50g of sliced meat like salami or ham per person is about right. However, if the platter is the meal, be more generous. Weight is a better estimate than slices, says Kelly. Eight people will eat one loaf of bread and a sheet of home-made lavosh (also known as lavash), a Middle Eastern flatbread. Kelly says they include two dips and a chutney per loaf. Bread, lavosh and crackers never go to waste, says Amy. • The three base dips Amy and Kelly use are hummus, pesto, and chutney. • Don’t put dips or crackers on the platter in their original container. It looks messy, plus you can use bowls to add colour and character to the platter (see tip 6). Kelly says they love to look at other people’s platters for inspiration, but one of their pet peeves is when someone includes food that guests can’t eat. • Pears are one food often included whole, but it’s easy to make it something people can easily eat. Cut the pear into thin slices so people can eat it with a slice of blue cheese and some walnuts. 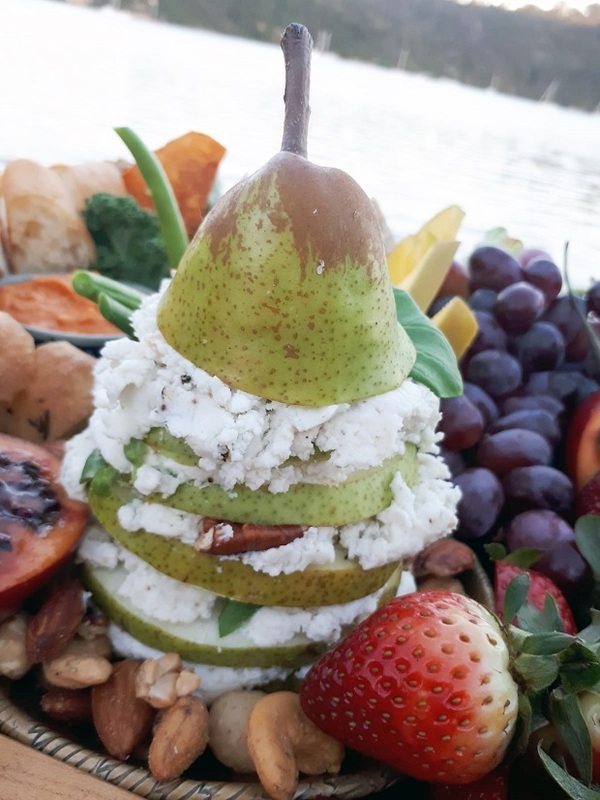 • Cut the pear into slices, then reassemble it. Between each slice, add a soft goats’ cheese, honey, cracked pepper, basil, and walnuts. • Make an avocado a user-friendly dish. Cut an avocado in half, drizzle it with olive oil and dukkha, or a little dehydrated sauerkraut, and season it with salt and pepper. Or fill up the hole left by the stone with balsamic vinegar and olive oil or dukkah, season with salt and pepper. Make sure the flesh is covered so it doesn’t turn brown. Serve with a knife so it’s easy for people to cut a sliver or pre-cut it so they can easily scrap out a serving with a cracker. 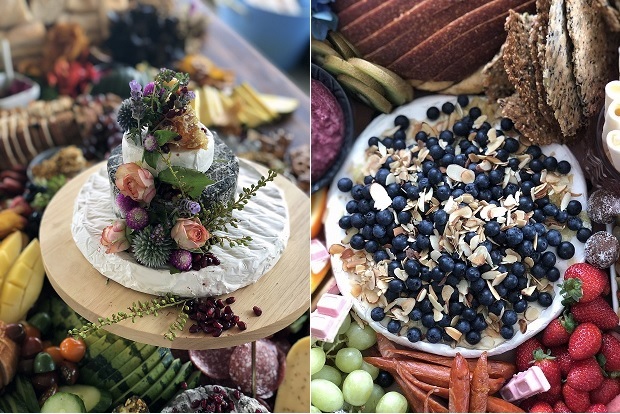 When Amy and Kelly catered to an afternoon celebration of life, they were asked to create a grazing table for up to 600 people. The standard mix of cheese, meat, bread, crackers, and dips also included chocolate biscuits for people who weren’t that hungry but wanted something to have with a cup of tea. There were also slices of watermelon, strawberries, and lines of Whitaker’s pink-coloured chocolate as they knew children would be attending. The same table included special requests from the family. There were purple serviettes, purple chips, purple dips and blueberries to honour the person’s favourite colour. If there’s one thing Amy and Kelly try to avoid, it’s white ramekins. One of Amy’s favourite pieces for displaying cheese is not for cheese, and she uses it upside-down. Containers also give you another way to make your platter special. Construction starts with the star: the cheese or cheeses. The grapes are usually second because they’re big and take up a lot of space. Next, are the dips. Pieces of bread and crackers often fill up gaps along the side of a platter or consider putting them in a basket beside the platter. Amy thinks in terms of contrast. When fresh raspberries aren’t available, she uses freeze-dried ones and sprinkles them over a cheese for a splash of red on white. Activated charcoal wafer crackers are also a dramatic contrast with brie or camembert. 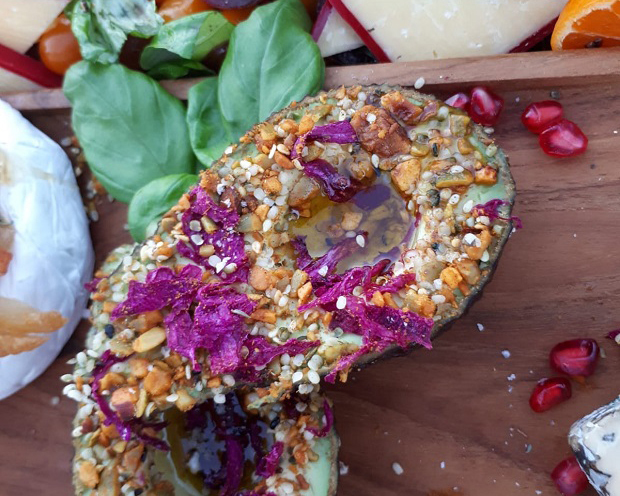 Another thing that makes their platters pretty is their abundance. Kelly says one client wanted a platter where guests could make their own sandwiches. Rather than buying sliced ham, they bought a whole leg and turned it into the centrepiece. 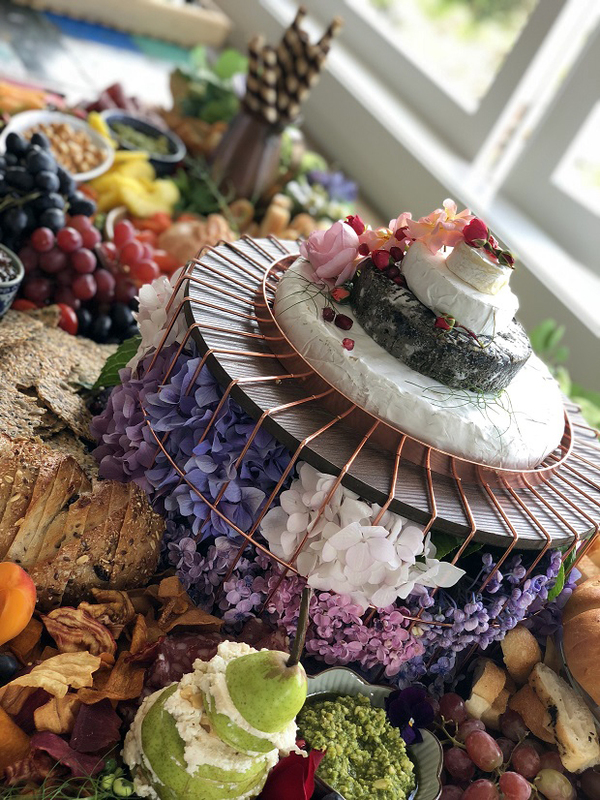 The ham – which they ‘dressed’ with a bouquet of flowers sticking out the end – sat on a stand, with bread piled underneath so it didn’t take up room on the platter.